Ahhhh Pixi Glow Tonic! You've heard of it, yes? The ever so famous 'exfoliating' toner that has been raved about ever since Caroline Hirons dedicated a blog post to it. I used to think toners were a wasteful, pointless part of my skincare routine, and for a long time I didn't even use one. However, the more I got into blogging and reading about other skincare routines, the more I learnt about the benefits of using a toner inbetween cleansing and moisturising. So off I went, trying and testing different toners and my skin definitely improved, which is why I finally decided it was time to try the big boy and see what all of the fuss was about. 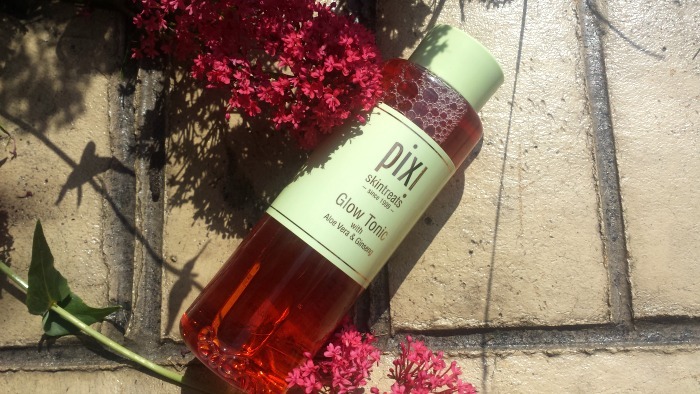 Pixi Glow Tonic is an oil and alcohol free toner, which contains 5% glycolic acid (hence the exfoliating properties). 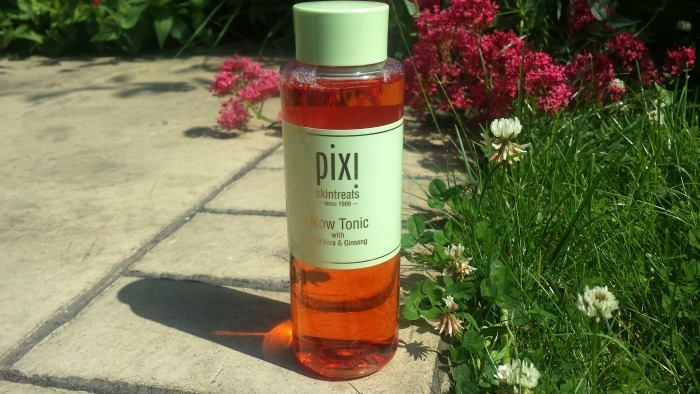 Pixi say it helps to tone, firm and tighten the skin, whilst removing dead skin cells to reveal healthier looking skin. It's gentle enough to use daily, unlike other, even more expensive exfoliating toners (Clarins, I'm looking at you). Not gonna lie, I absolutely LOVE this toner. It's honestly like no other skincare product I've ever tried. I use it both morning and night, needing only the tiniest bit on a cotton pad. I've been using it for a good 2 months now and I haven't used anywhere near a quarter of it yet. I've noticed a massive difference in the overall texture and appearance of my skin since using this. I very rarely get blemishes anymore, and if I do they don't stick around for any longer than a day. Don't know how I coped without this product in my life as I can't imagine not using it now. The only downfall is that it's a bit of a nightmare to get hold of (unless you live in London of course). It's only sold in the Pixi Store in London and on their own website, which is quite often sold out. I'm hoping they branch out and get it on some other online stores soon (preferably with free delivery, lol). Have you tried this beautiful product? If not, you should!